Artesunate (ARS) induced significant reactive oxygen species (ROS) generation in HepG2, HeLa, and A549 lines. However, ARS induced ROS-dependent apoptosis in HeLa and A549 cell lines but ROS-independent apoptosis in HepG2 cells. A total of 200 μM hydrogen peroxide (H2O2) significantly induced cytotoxicity in HeLa cells, while H2O2 up to 300 μM did not induce cytotoxicity in HepG2 cells, further demonstrating the strong resistance of HepG2 cells to ROS. HeLa cells had much higher basic total glutathione (T-GSH) level than HepG2 cells, while the ratio of basic reduced glutathione (GSH)/oxidized glutathione (GSSG) in HepG2 cells was nearly twice than that in HeLa and A549 cells. 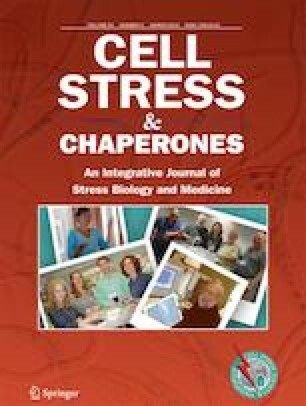 Inhibition of glutathione markedly enhanced H2O2- or ARS-induced cytotoxicity in HeLa and A549 cell lines but modestly enhanced the cytotoxicity of H2O2 and even did not affect the cytotoxicity of ARS in HepG2 cells. Moreover, addition of GSH remarkably prevented H2O2- or ARS-induced cytotoxicity in HeLa and A549 cell lines, further indicating the involvement of GSH in scavenging ROS in the two cell lines. HepG2 cells exhibited higher catalase activity than HeLa cells, and inhibiting catalase activity by using 3-aminotriazole (3-AT, a specific inhibition of catalase) or catalase siRNA remarkably reduced the resistance of HepG2 cells to ROS, demonstrating the key roles of catalase for the strong resistance of HepG2 cells to ROS. Collectively, catalase activity instead of glutathione level dominates the resistance of cells to ROS. This work was supported by the National Natural Science Foundation of China (Grants 61527825, 81572184, and 81471699) and the Natural Science Foundation of Guangdong Province (Grant 2014A030313378).